With only 100 tickets being sold, art enthusiasts will want to secure their spot early for the 8th annual Art on the Line gala fundraiser at UBC Okanagan. At $175 each, one ticket admits up to two people and includes appetizers and refreshments, live entertainment and one juried work of art. The Art on the Line fundraiser gala features works by students, noted local artists, visual arts professors and alumni and offers a variety of media and styles -- including drawings, paintings, prints, photographs, sculpture and mixed media -- to meet the tastes and interests of everyone. Ticket holders will select the artworks based on a random lottery system. Time is provided for previewing the art and building wish lists. With 130 pieces to choose from, all 100 participants are assured a choice of juried art. Taking place on February 6, the widely popular event raises funds in support of the UBC Okanagan fourth-year students' graduate exhibition. As well, Art on the Line will donate 10 per cent of the proceeds to Cool Arts, a charity dedicated to providing visual arts opportunities for adults with developmental disabilities living in the Central Okanagan. 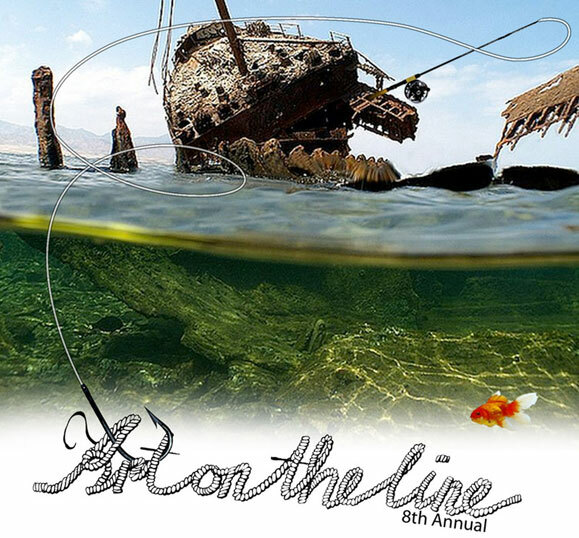 Art on the Line is hosted by the Department of Creative Studies in the Faculty of Creative and Critical Studies and the Visual Arts Course Union. Sales are underway and the event sells out quickly. To purchase tickets, contact Irma Ronkkonen at Irma.Ronkkonen@ubc.ca or call 250-807-9864. Doors open at 6 p.m. for ticket holders to view the artwork with the draw beginning at 7:30 p.m. Anyone who wants to come out, enjoy the atmosphere and observe the action can purchase a ticket for $10 at the door between 7 and 7:30 pm.